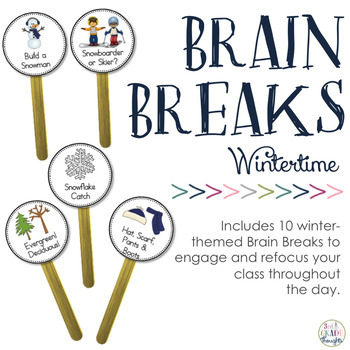 This is a collection of 10 different Winter-themed Brain Breaks for the classroom. These can be used as transitions, breaks in the middle of an activity, something to raise or lower the energy of the group, team-building activities, and more! Activities are focused around wintertime and incorporate a lot of movement and fun. Breaks range from simple, individual breaks to whole-class games, so there are many ways to use these into your classroom during the months of December through February!